William J. Howard specializes in the areas of complex estate planning, probate, real estate and serving as corporate counsel for numerous small and medium sized corporate clients including the Rock River Water Reclamation District, Mainstreet Financial Group, Ltd., and Pearl Lake Club, Inc.
Mr. Howard served on the Board of Directors of Vintage Mutual Funds of Des Moines Iowa overseeing over two billion dollars of investments and is a member of the Winnebago County Bar Association. 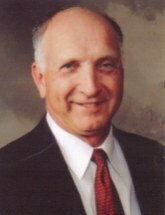 Previously, he was a two-term trustee for Rockford Township and also continues to represent area Townships. He is currently on the Board of Directors of Royalty Capital Corp.
Mr. Howard received a Bachelors degree in finance from Northern Illinois University in 1968 and his Juris Doctorate from University of Illinois College of Law in 1972.